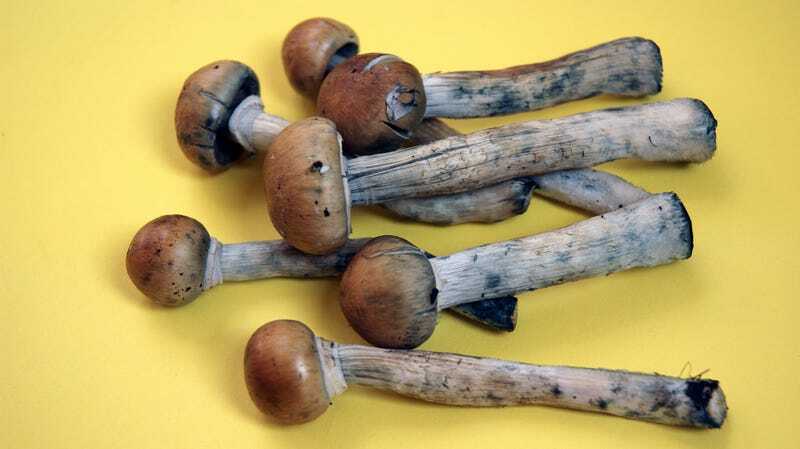 Effectively, that would decriminalize—though not legalize—psychedelic mushrooms by preventing authorities from spending money to impose criminal charges against adults who possess psilocybin for personal use. Per Denverite, Decriminalize Denver is the initiative’s main sponsor, having collected enough signatures earlier this year to place the question on the May ballot. The Denver Post says opponents fear the measure could lead to increased drug use and have negative effects on Denver’s reputation among visitors, while supporters say psilocybin is a safe, non-addictive drug that can be used to treat certain mental illnesses. In his 2018 book How To Change Your Mind, Michael Pollan—yes, he of the Omnivore’s Dilemma—explores whether science and the pharmaceutical industry can ever surmount psilocybin’s fraught countercultural history to examine it as a potential therapeutic treatment. Pollan’s book is lengthy, but a fascinating read for supporters and skeptics of psychedelics alike. I highly recommend it. He writes that since this mushroom’s discovery (by the West) in the mid-1950s, psilocybin has been shown by brain-imaging studies to create a “high-entropy brain,” in which “new connections spring up among regions that ordinarily kept mainly to themselves.” Researchers, led by Robin Carhartt-Harris of the Imperial College London, wrote in a 2014 paper that this temporary reconfiguring of the brain could potentially be useful in treating psychological disorders marked by mental rigidity such as addiction. But whether there’s enough research into psilocybin to justify its decriminalization is far from settled. Should Denver residents vote yes on Initiative 301 in May, the city would again serve as an important case study in drug decriminalization.